There is only one answer: El Sabor Wraps! El Sabor Wraps are the most popular Wraps in Greece and it’s absolutely fair! A dining experience of pleasure! You can find them in different sizes so you can choose the one you prefer and are available in three flavors : classic, whole wheat and tomato. 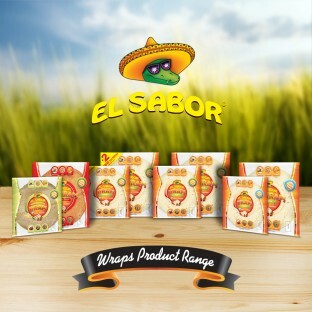 Simply wrap the materials of your preference in El Sabor Wraps and enjoy!